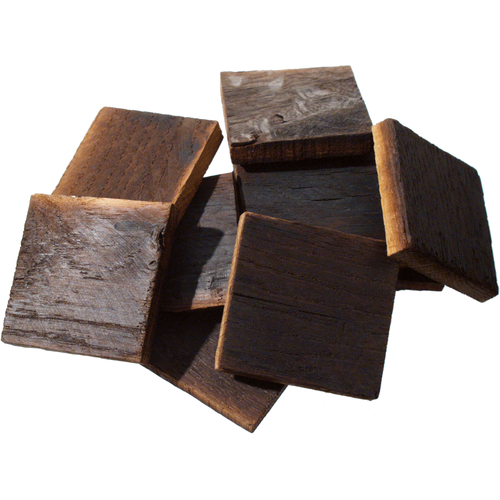 If you are looking for oak that produces flavors which are closer to true barrel quality, then these Stave Segments are just right for you. Less end-grain than traditional oak cube means a slower extraction time and a longer contact time, which will lead to a softer, more rounded mouthfeel. Many professional winemakers who have used these segments have said the flavors produced seemed more like those from regular staves in a barrel. The recommended ratio for 100% new barrel flavor is about .5 lb per 5 gallons of wine. Since the exraction is so slow, the minimum contact time is 16 weeks and they can be left on the wine for up to 18 months. Too large for carboys, please check out oak cubes or chips if using a carboy.